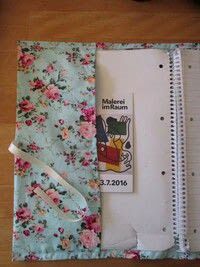 A simple and useful project to cover a notebook, a folder or whatever you like. 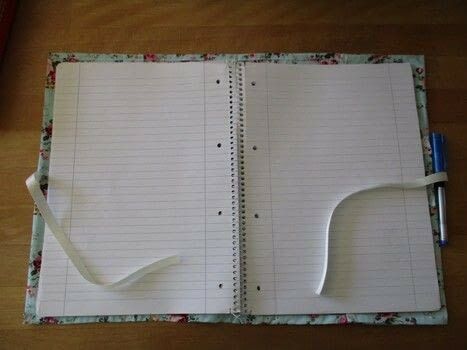 Cut out two pieces of fabric: A bigger one for the actual folder and a smaller one as a pocket for notes. 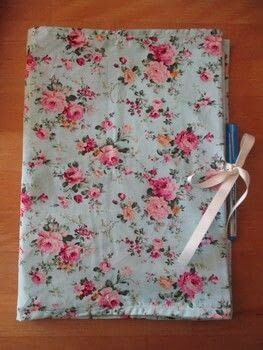 For a Din A4 notebook I took these measurements: Folder: 66 cm x 30 cm Pocket: 10 cm x 8 cm Don't forget to add seam allowance at each side! 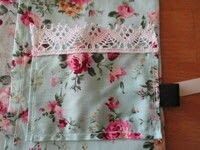 Cut a piece of lace and sew it to your pocket piece. 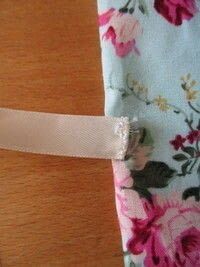 Pin the small piece onto the folded part of the fabric. 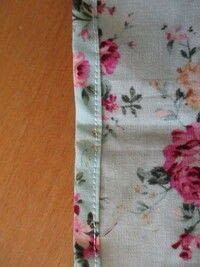 Before sewing the pocket onto it, pin the elastic between both pieces. Its ends should be covered by fabric. Sew everything together. 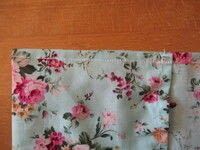 Cut the satin ribbon in two pieces of 25 cm. 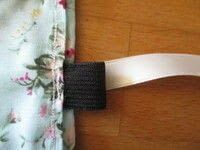 Attach one piece at each side of the folder. 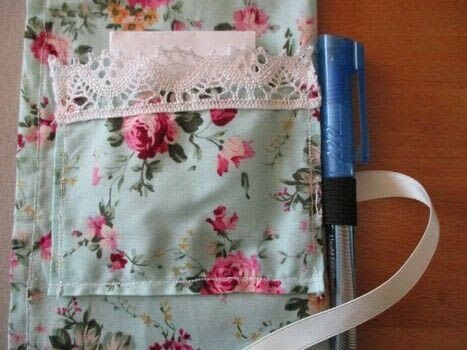 Sew the 10 cm of folded fabric to the left side, but make sure that it fits your notebook. Optionally you can add a bit of ribbon as a bookmark to the top your folder.